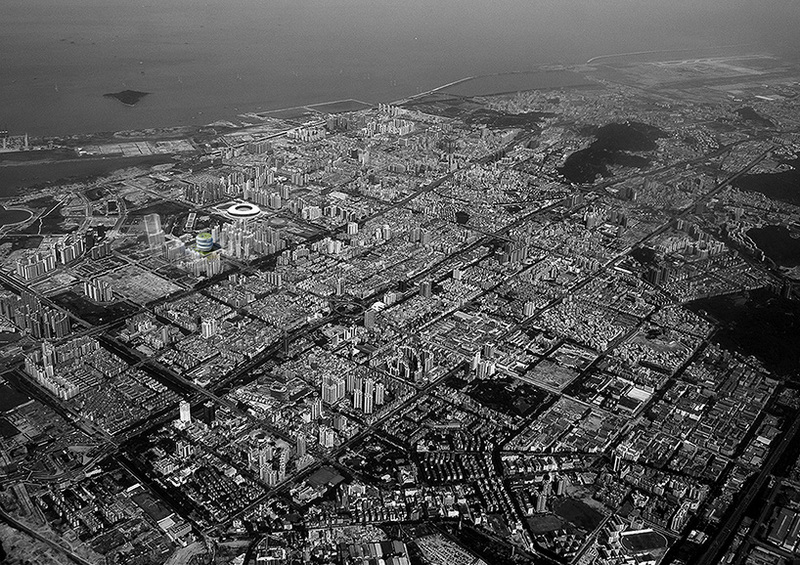 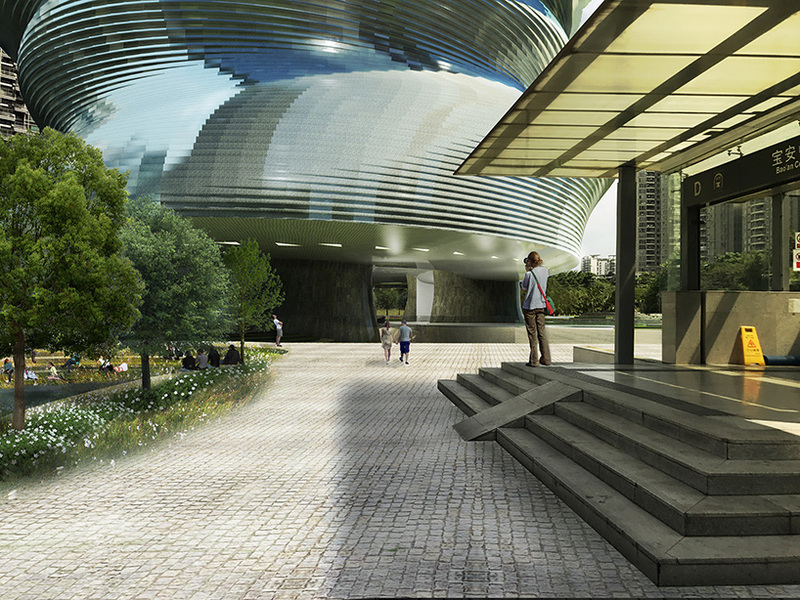 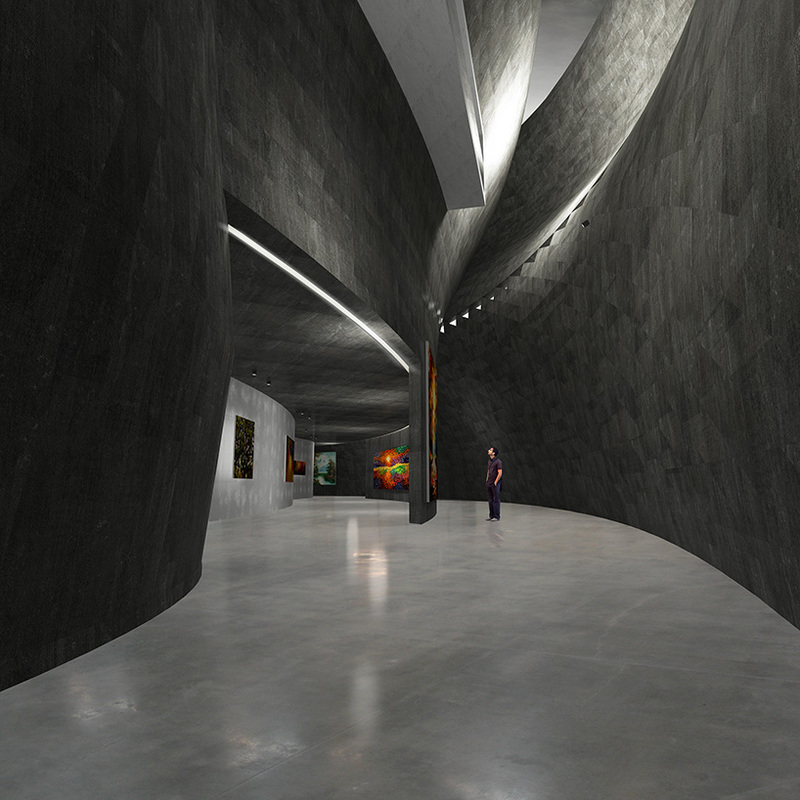 theeAe architects has shared its proposal for the design of the new public cultural and art centre in shenzhen, china. 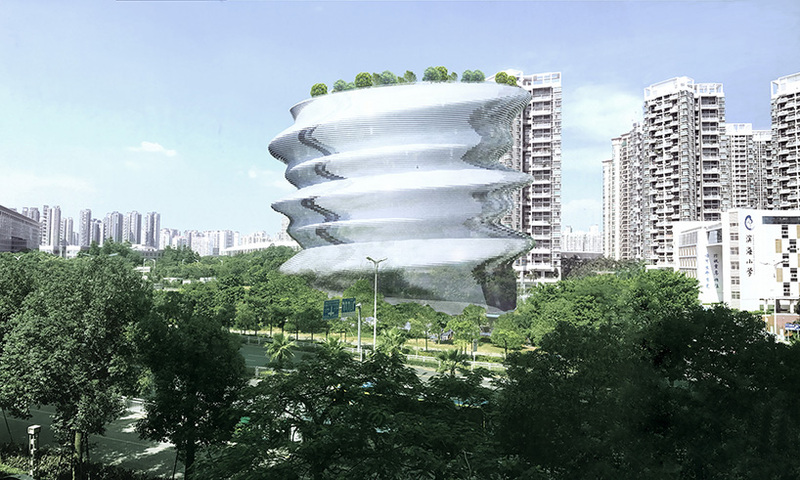 the studio imagines a structure that combines three separate volumes, shaped into a single undulating tower inspired by traditional chinese pottery. 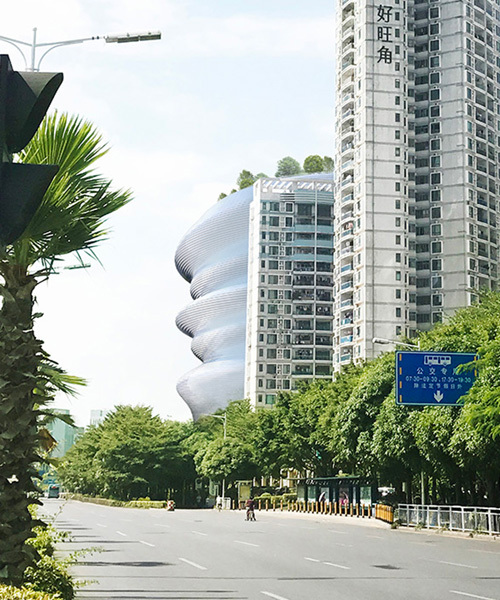 the curved, undulating building is proposed in sit in the bao’an district of the city, its organic façade giving the impression of having been shaped by human hands. 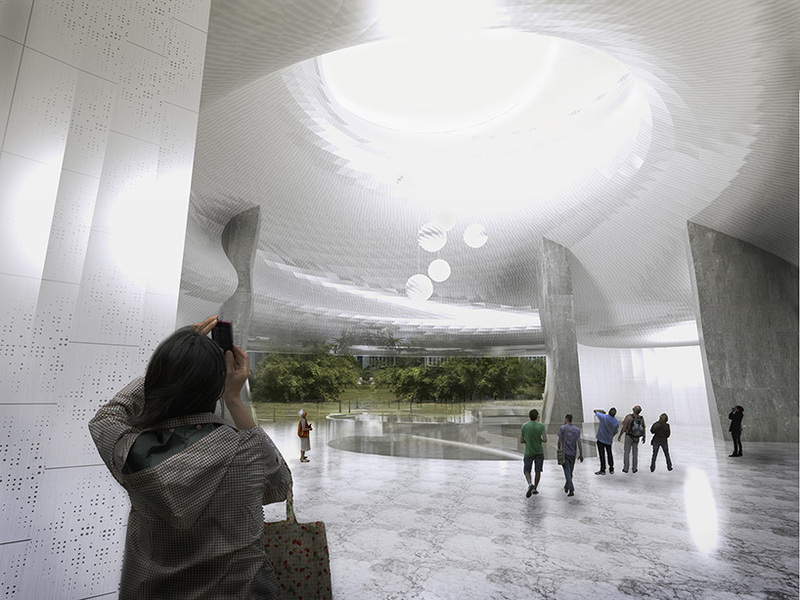 the bottom of the building is raised from the ground and supported by three interior columns. 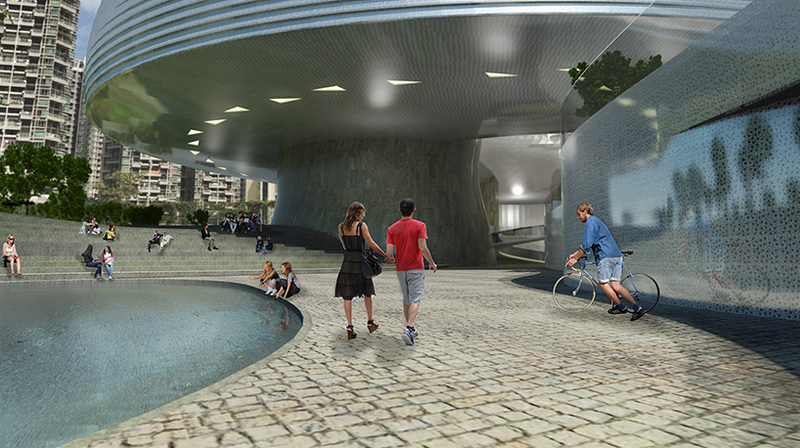 this opens the building up from a ground floor perspective, and minimizes impact on the surrounding cityscape. 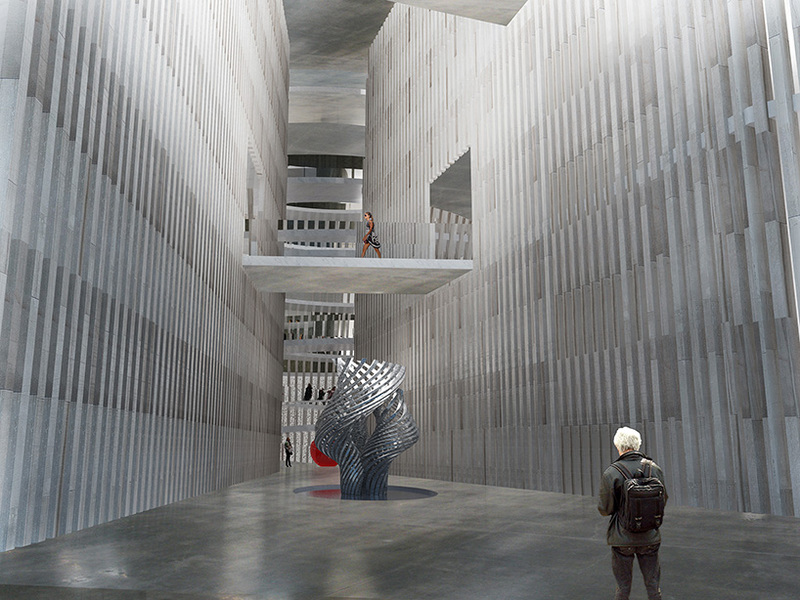 in addition to a museum and art gallery, the centre will feature a three storey viewing gallery space — interconnected with the central opening of the building — that the studio hopes will become a major new point of interest for the area. 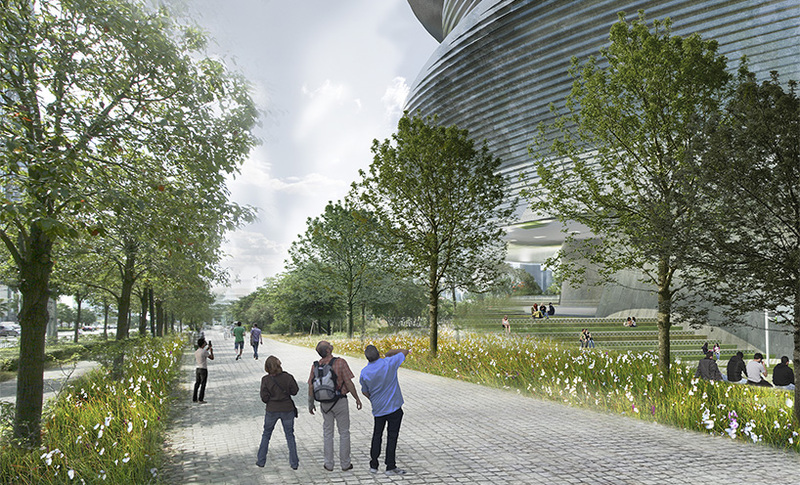 theeAe’s proposal also suggests a heightened level of interaction between the cultural centre and its neighbours, and includes semi-private access to the sport field located to the centre’s rear. 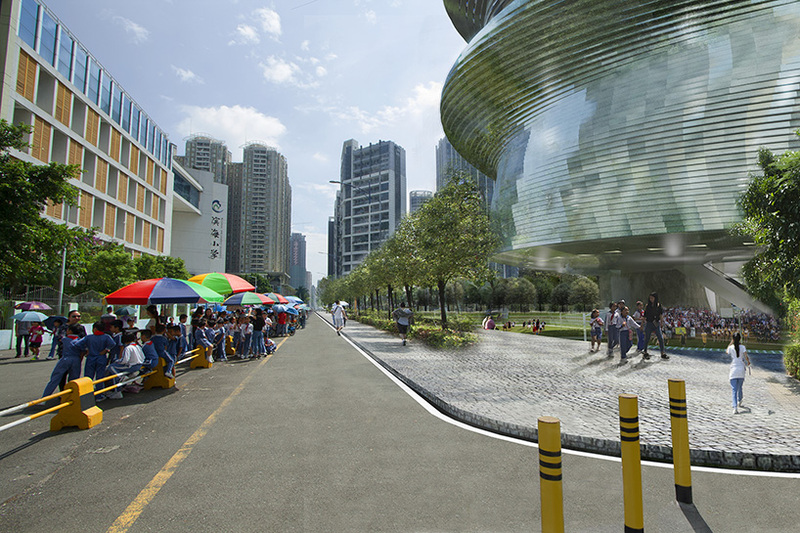 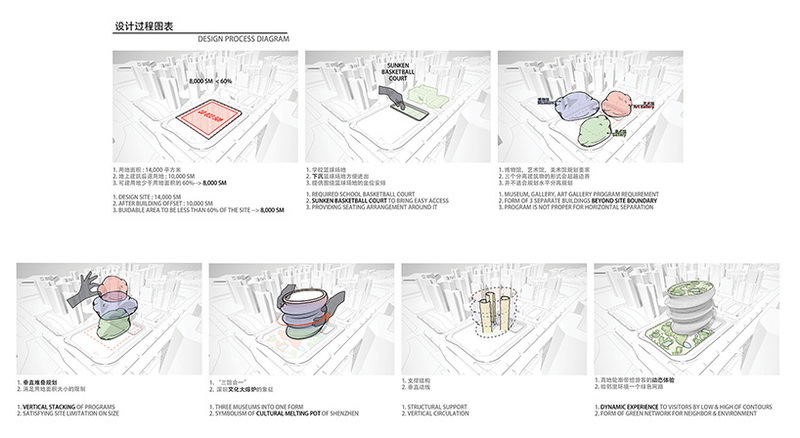 by making access to the museum as convenient as possible, and by surrounding the build with worthwhile peripheral attractions, the design aims to actively engage the shenzhen public with the activities of the cultural centre.